See those strands of hair that fall out as you comb your hair? You probably just toss ’em away, but not Xiang Renxian of Chongqing, China! 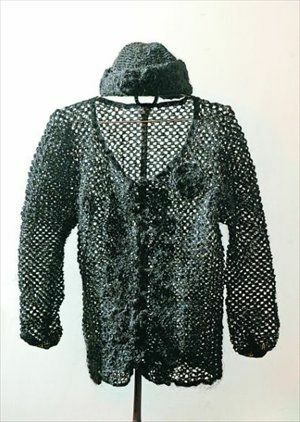 According to Xiang’s records, the nearly half-kilogram sweater is made from exactly 89,112 hairs and is decorated with 18 knit roses. The sweater required 15 hairs to spin a knitable strand.